Trotting is the most common form of harness racing, an equine sport in which horses race with a specific gait – either trotting or pacing – and usually pull a two-wheeled cart, although racing under saddle does happen in Europe. What is the Difference Between Trotting and Pacing? That is the question that gets asked most in relation to harness racing. When trotting, a horse’s nearside back leg comes forward at the same time as its offside front leg goes forward and then vice versa. When pacing, a horse’s nearside front and rear legs move back and forth at the same time. The consensus among harness racing fans is that training a trotter is harder than training a pacer. Although trotting is slower than pacing, trotters can easily break stride illegally in the heat of battle. Also, manoeuvring trotters during races is somewhat more difficult than performing similar moves with a pacer. And trainers use restraints known as hobbles to keep pacers in the correct gait. It’s no good knowing all about if you don’t know what to do with your knowledge, so take look at our table below of the best places to bet on Trotting. You might even pick yourself up a new site with a decent sign up offer. How Does One Bet on Trotting? Of course, harness racing betting products bear an uncanny resemblance to those offered on horse racing, with punters able to bet on race winners and placegetters. However, there is an exotic bet that is synonymous with Swedish trotting. Swedish gamblers of all persuasions – it is not simply the domain of diehard trotting fans – love the V75 game that takes place on Saturday’s best Swedish trotting meeting. The V75 challenges punters to pick the winners of seven Swedish consecutive trotting races, with each of the races having at least a dozen competitors. Some simple mathematics demonstrates how difficult it is to get all seven V75 race winners. Twelve to the power of seven equals 35,831,808 so, if a V75 featured seven races with 12 joint favourites, then the odds of getting the right combination would be greater than 35 million to one. Basically, it is a trotting lottery. And because the V75 is akin to a traditional lottery, it is commonplace for punters to play large systems rather than rely on one single bet. However, the costs of picking more than one trotter in each V75 race can stack up very quickly. For example, selecting three runners in three races and four runners in four races would result in a V75 bet cost of 6,912 Swedish krona, which is about 800 euro. Obviously, the idea of the V75 is to pick all seven race winners but there are consolation dividends for punters who find either five or six of the first-place finishers. The V75 pool jackpots if no punter selects all seven race winners and, as is the case with lotteries that feature balls, the bigger the pool, the more people who play. The size of V75 pools are growing every year as more and more countries play the game. Currently punters in more than 25 countries can bet into the V75 pools and many of them do not know the first thing about Swedish trotting form. This means that there is a lot of uneducated money in the V75 pools, invested by people who play it like a lottery. Which Countries Are Hot to Trot? Harness racing is prevalent in four major regions: Australia and New Zealand; Canada and the United States of America; France; and the Nordic countries of Denmark, Finland, Norway and Sweden. There are harness racing scenes, albeit smaller ones, in countries such as Belgium, Germany and Italy. What Are the Major Races Around the World? In Australia and New Zealand, the Inter Dominion reigns supreme. Organised for many years under the auspices of the Inter Dominion Harness Racing Council and, more recently, the Inter Dominion Events Committee, with representatives from both Australasian nations, it is the premier harness racing event in the two countries. There used to be Inter Dominion championship races for both trotters and pacers but, amid a major shake-up that has divided the harness racing community ahead of the 2013 series, they have jettisoned and replaced by several brand new events. There are several significant races across North America, including the Triple Crown of Harness Racing for Trotters that comprises the Hambletonian, Yonkers Trot and Kentucky Futurity. Eight trotters have won all three races in the same year but the feat has been rarely achieved lately. France is home to what is widely considered to be the most prestigious harness race in the world, the Prix d’Amerique. 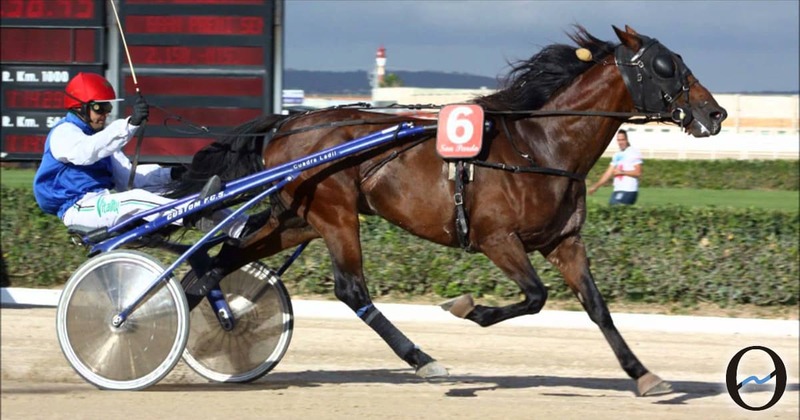 Held on the last Sunday in January in the east Paris suburb of Vincennes, the Prix d’Amerique has a seven-figure prize fund and the winner of the 2,700-metre race becomes an instant trotting legend and makes its connections rich. Not far behind the Prix d’Amerique in the prestige stakes is Sweden’s Elitloppet, which translates as the Elite Race. Its honour roll includes Italian trotter Varenne, rated by many harness racing historians as the best of all time. Varenne took out the 2001 Elitloppet and defended the title in 2002 with a world record-breaking performance, completing the mile at Solvalla in Stockholm in one minute, 10.2 seconds.